You Are Here: Home » Latest News » Fabulous Festive Fun Courtesy of Tesco for Over 16′s Youth Club! Fabulous Festive Fun Courtesy of Tesco for Over 16′s Youth Club! 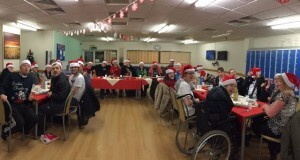 Fabulous Festive fun had by all at the Over 16′s Monday Youth Club, Courtesy of Tesco Prestwich. 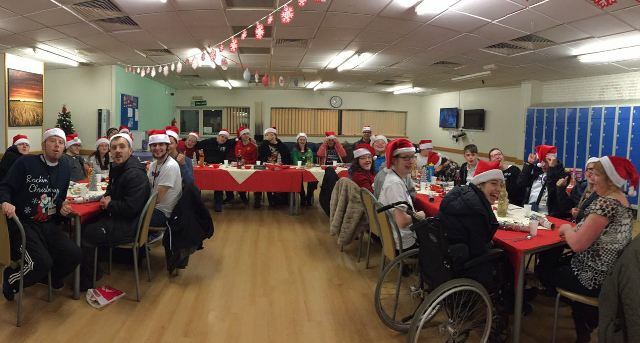 The wonderful staff at Tesco provided a slap up Christmas meal for all youth club members complete with Santa Hats! Lots of fun, laughter and carol singing had by all the members and volunteers. A massive thank you to Kate Forth and the team at Tesco Prestwich, your generosity and continued support for You Can and its members is very much appreciated.